A complete riding gear may as well save you from dying or from serious injuries. And if you say that riding gear is too hot to wear, remember -- it is always better to have sweat on yourself than blood. Most of us at some point or the other have met with a minor accident from our two wheelers, be it a scooter or a motorcycle. While some falls left us with minor bruises, some left lifelong scars compelling us to think ‘wish I had protective gear on’. This is the reason why riding gear is important. But what are the brands women can opt for if you decide to purchase one? Why am I focusing on women and not men? That’s because riding gear for men is easily available across the country and men are often seeing wearing gear; women on the other hand face the problem of not finding the right gear especially in size and not many (this includes men too) are aware of the importance of riding gear, hence this article. 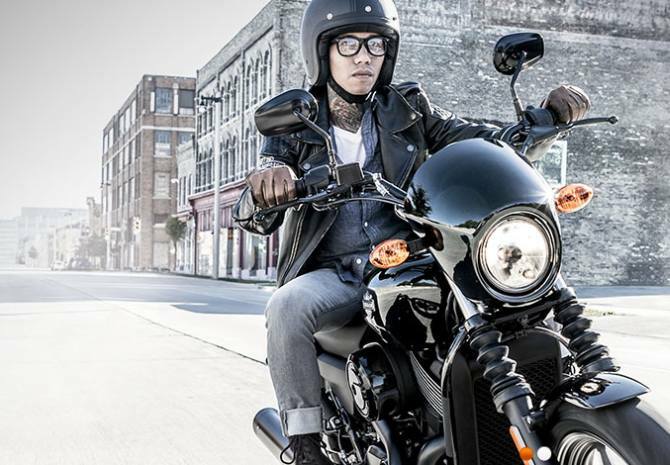 Most of us think that a helmet and jacket are all that form part of ‘riding gear’. Yes, these two are most important but then there are other things too which comprise riding kit. We’ll come to that later, but before that I’d like to ask -- when do you think one should wear riding gear? 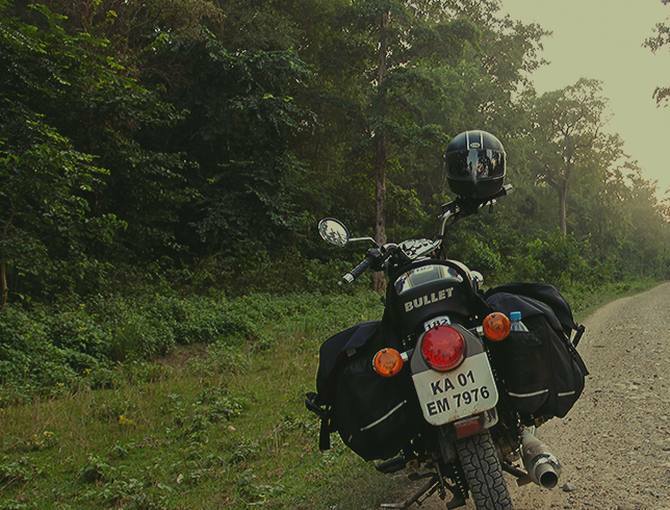 Is it only during long rides when one will encounter highways and other off-road terrain or even during city riding? My answer is both. Rather I’m of the opinion that it’s more important to wear complete gear while riding in the city given how haphazard most traffic is. And where do you think most accidents take place -- on the highway or in the city? You never know when a jaywalker may step in your way causing you to apply brakes in panic, and more so over you never know when a garbage dumper, or a bus or any stupid rider or driver may come in your path resulting in a not so pleasant experience. In such scenarios if all you’re wearing is just a helmet or jacket, the level of protection that you’re giving yourself is certainly minimal. I’m not saying that a helmet and jacket are not good enough. What I’m saying is when it comes to safety, whatever you do is less. Coming back to riding gear -- yes at times wearing a jacket and your helmet to get grocery from around the corner may suffice, but when your daily commute involves riding long distances especially through heavy traffic, then it’s best to invest in proper gear because one can never put a price on safety! These are of utmost importance and no matter how much I emphasise, it won’t be enough. Helmets protect the most important organ -- your brain. So always buy good quality certified helmets and NOT the ones sold on the roadside. Also always invest in a full face helmet. Why? Because when you fall, you never know if you’re going to go down face first or back first, so why take a risk; a full face helmet offers protection to your chin, nose, jawline as well as your eyes (once the visor is down). An open face helmet or a half face helmet as it’s popularly know offers protection only to your skull and the possibility of it flipping back in case of a fall is way higher than a full faced helmet. To put in simple words a full face helmet is more effective at protecting you than a half face one. Then there are also helmets that double up as half face and full face. I’m personally not fond of these as I have friends who’ve used such helmets from a reputed brand and when they’ve fallen, the full faced helmet has flipped open giving my friend a broken jaw. Hence I would suggest do not opt for these. Please do not compromise on safety. A good helmet costs anywhere between Rs 1500 to Rs 70,000. Most of us would not invest huge amounts in purchasing a helmet unless we are professional racers, in which case a high quality, light weight helmet is of utmost importance when riding at those breakneck speeds. But then again if we are okay with spending Rs 3000 on beer and fancy shoes, why not spend half that amount on buying a decent helmet which will last you a long time? After all it’s a onetime investment at least for the next three years, hopefully. Some of the Helmet brands that won’t burn a hole in your pocket are Vega, LS 2, Cross, AGV, THH, Shiroh, MT, Studds, HJC. A jacket is as important as a helmet because it protects the other vital parts of your body -- shoulder, elbow, back and chest. Wearing a regular jacket or an overcoat will protect you but only from the sun, not from a fall on your bike. Riding jackets come with shoulder, elbow and back protectors and are made of specialised material that protects your skin from abrasion in case of an impact. They are relatively thicker than your average jacket and come in -- full textile, mesh and leather. A riding jacket will ALWAYS have protectors so if anyone is selling you a ‘fancy’ riding jacket without protectors, do not buy it. And yes, riding jackets look really good and like helmets come in various colours. 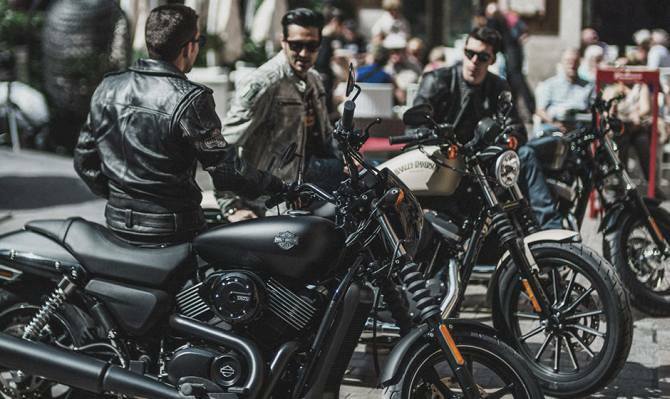 Riding jackets are expensive starting from Rs 4500 going up to Rs 45,000. If you’re a serious motorcyclist or really value your safety while, then I would suggest you invest in a good riding jacket. Now if you can’t afford a riding jacket, then please opt for thick clothing -- a denim jacket or a leather/ faux leather jacket is good, and you can always buy external protectors such as elbow guards (not the one’s small children use while skating) which come as a set with knee guards. These are relatively cheaper and offer basic level of protection. Have you ever bruised your knuckles in a crash? If yes, you know how painful it is. So imagine crashing/ falling at high speeds and hurting your palms and knuckles all at the same time. The pain and agony of hurting a part of your body that you use for everything, everyday is unbearable. Hence one should wear gloves while riding. Proper riding gloves come with knuckle protectors and reinforced material around the palms that offer optimum protection. Wearing half cut leather gloves is equivalent to wearing no gloves at all. One can opt to wear leather gloves too. 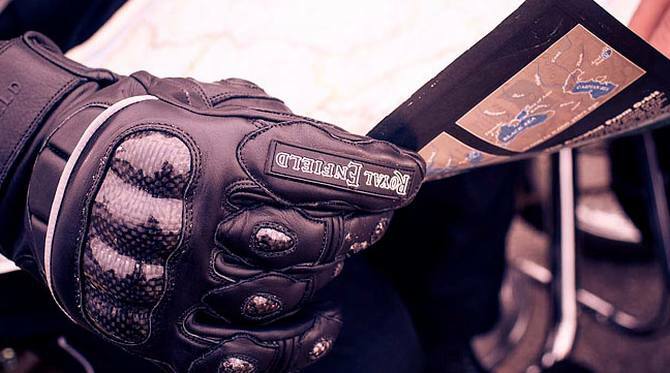 Riding gloves come in two materials -- textile and leather. They also come in two lengths -- full length also called as gauntlet that go beyond the wrist offering more protection and wrist length ideal for daily use. You also get motocross style gloves that look really fancy and offer decent level of protection, so it’s best to invest in good riding gloves. For those based in the northern region -- you also get thermal gloves specially designed for riding in cold areas and they are pretty effective at keeping your fingers warm. A good pair of riding gloves starts at Rs 1000 and can go up to Rs 15,000. The argument if riding shoes are practical for everyday use or not goes on in my head each time I see somebody wearing riding boots. I know they are important and offer protection which is uncompromised, and are the best bet for long rides. For city use though -- these boots aren’t meant for walking, you can only ride in them. It’s not that you cannot walk in them; it’s just that they’re really uncomfortable for walking. While riding it is important that you have shoes which fully cover your feet (no crocs) along with your ankle and shin. So though your sneakers are comfortable for riding, they offer minimum protection to your toes and none to the ankle and shin. Riding boots on the other hand offer overall protection. The toe part is hard enough to withstand pressure even if someone is standing on your foot and they come on two lengths -- ankle length (which also covers the shin) and full length that go up to your calves. You also have them in various styles such as touring, racing and motocross. Depending on your usage you can decide which style suits you best. For city riding though I’d suggest ankle length boots as they are comfortable and you can walk short distances in them. Riding boots are expensive and not everyone can afford them. So what do we do? I compensate the lack of professional riding boots by using army boots with steel toes. They’ve been extremely reliable in protecting my feet in the freezing temperatures of Ladakh and served my purpose of providing ankle and shin protection. Plus they don’t cost a bomb; otherwise you can pick any shoe that offers solid protection around the ankle and shin. One can also opt for safety shoes, since they have steel toes and protect the ankle and shin as well. Since I got my pair of Orazo riding boots (a lighter version of safety shoes) I haven’t touched my army steel toes! Though I still aspire to own a pair of Alpinestars someday -- hopefully soon. 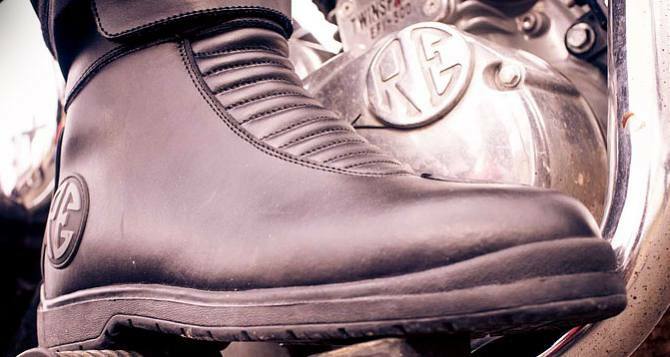 Some brands of riding boots available in India -- Alpinestars, AXO, SIDI, Orazo, Puma motorsport, PGS. Like riding boots, in my opinion, these too are debatable -- whether to use for daily commute or just for long rides. 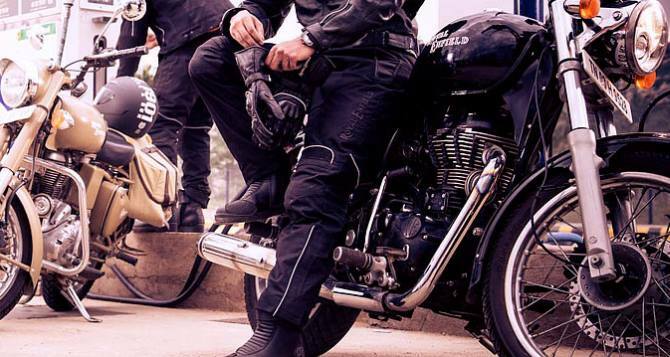 For everyday use riding pants are just too heavy and impractical unless you work at an organisation that allots you a personal locker and if you wear western formals or denims to work; in this case, you can pull over the riding pants and use them daily. You’ll just need to leave them in the locker later, but then again most work places in India do not offer such facilities, so the usability of riding pants for daily commute doesn’t really go well with me. Like jackets, riding pants also come with hip and knee protectors and offer optimum protection. Their prices start at Rs 4000 and they are available in textile, mesh and leather. I personally don’t use riding pants for daily commute but all the other gear is non-negotiable. If I know I have to ride till the outskirts of the city, I don my knee guards as a safety measure. If you can’t afford riding pants then buy knee guards with shin protection; buying bionic knee guards that allow free movement is a better idea, and though they are slightly expensive, they are worth it. I’m sure each and every one of you reading this article is a sound and safe rider, but you can only vouch for yourself and not someone else. You can always trust your skills not that of a fellow commuter, so keep your safety a priority. I’m listing down a few stores where you can source gear and I hope it’s helpful for everyone reading this article. These are just a few, but there are many more out there. If you know of other stores please feel free to add that info in the comments section. Here's why Samsung Galaxy Note 4 rocks!